How long have you been doing what you do and how did you get to be a Energy Alignment Coach & Mentor? To answer this question, it’s probably best that I share with you a turning point in my life that brought me to where I am today, coaching people like you on exactly how to reinvent themselves and do what they love. I remember when my Dad became ill, and I saw all of his dreams to retire and travel around the world, and paint and do the things he loved the most get taken away from him. It made me realise that life is so short, and we need to stop waiting to do the things that really make us happy. I had a really successful career in the Public Sector, I realised the other day that I’ve racked up over 10,000 hours of leadership expertise on change management across organisations and in partnership with Councils, Police, Fire and Rescue, Probation Services, Criminal Justice, NHS and other agencies; and over 2,000 hours specifically on leadership and performance coaching and mentoring. But I was not seeing my kids and I already had a failed relationship with my kids father, and this left an emptiness inside of me, I felt disconnected from myself and those closest to me. My father’s’ death was the first turning point for me, and when I started to notice the impact of the stress levels on my own health with a bout of Shingles and Chronic Fatigue. I realised that I couldn’t afford the cost to my health, and I wanted to do things differently for my own life and my family. Outside of the day job, I was providing life and business coaching for my network marketing business partners and health coaching for my clients. I am passionate about the profession and over the last 6 years I have helped over 300+ people live a healthier life with my nutritional rebalancing coaching programme, and I lead a team of 21 health and wellness consultants. It was through my relationship with leaders in my network marketing business that I was introduced to energy work. I remember my first experience of Pranic Healing ( non touch energy healing) like it was yesterday. It completely blew me away. We were hosting a Wellness Fundraising Event for a friend of ours who had Cancer, and we were collaborating with a number of professionals in the wellness field, one of which was a Pranic Healer. Whilst I was doing the presentation that evening, I could see everyone going over and having their slots with her and coming away looking very happy and energised, and I was thinking what on earth is going on. It looked strange to my uneducated eye, that said I am an open minded person, so at the end of the evening I asked Tara ( the Pranic Healer) if she would give me a taster, and she did. She gave me a 10 minute taster, where she did a general healing on me, she was standing about 5 feet away from me. What blew me away was I felt her work on parts of my personal energy field. I had my eyes closed at the time, and afterwards she asked me how I felt and I said I felt it when she came over and worked on my shoulder. She said ‘you know I didn’t move, but I did work on your shoulder’….and that was it. My next turning point. I felt amazing for days afterwards and knew that energy work was the missing piece to my life. So I started my journey of learning more for myself. It’s been a game changer. My life experience has completely changed as my energy has changed. Since then, I have got certified in Coaching, Advanced Pranic Healing, Psychotherapy Pranic Healing, Crystal Pranic Healing and the Energy Alignment Method and I launched Trifolium, Lifestyle Coaching in 2016. Now I see my kids more than ever, our relationship is more connected, they are happier, and I am happier. I knew I wanted to reinvent myself even though I didn’t know what it would look like. I was seeking more fulfillment in my life, and I even became a Director of my brother’s music publishing company for a period of time, however, this just fueled the desire to live my own life purpose and have my own business. Using these skills and energy psychology techniques I made the shift, where now I have the freedom and peace of mind that I was craving and it feels amazing. 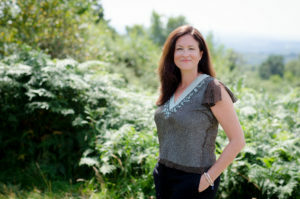 I have since made a commitment to dedicate the rest of my professional life to helping other professionals, leaders and entrepreneurs to master their inner self so that they feel connected, confident and live their life purpose doing what they love through my workshops, retreats, group coaching programmes, masterminds and VIP private mentoring. Since then, I’ve served over 5,000 people across Northern America, Canada, Europe and Australasia empowering them to make life-changing transformations so that they love the life they live. I work with heart centered men and women who are leaders and entrepreneurs with a diverse background of professions and who are ready to show up for for themselves. My clients have already enjoyed success within their career and are ready to continue to grow, to do the work, who know that it will take a different version of themselves to create the life they want to create and they know that with the right support they will make it happen. My VIP private clients are many of my peers who are leaders in their field, Health and Life Coaches, Business Coaches, Acupuncturists, and Energy Healers. I do my own inner work and I have reinvented myself so that I can live my life purpose, so I understand what it takes and I have got the t-shirt so to speak! I have personally worked with some of the biggest, most successful names in the personal development and healing industry and have used Energy Psychology techniques to transform dozens of people’s lives from all walks of life and professions. You get access to that expertise, knowledge, training as we work together to shed thoughts, emotions and beliefs that have held you back so that you become the best version of yourself and align to your life purpose. Although I will lead with the energy and what is going on in your point of attraction and the experience you are creating in your professional and personal life, you have me as a Life and Business Coach. I am known for my level headed expertise. I put an extensive amount of preparation work into all my training’s and presentations. I want my Clients to know that they are getting the very best of me, and that they will get results. Personally, I have worked with men and women to feel happier so that they attract better people and opportunities into their lives within in weeks, to feel aligned to their true self, have clarity about their life purpose, so that they can have fulfillment, love and abundance in their life. Your results will obviously vary based upon the action and commitment you put in. That said, I am as committed to your success as you are. When you work with me, I am by your side as you expand your vision so that you will walk away with a higher vibration, the skills to keep growing and transforming your energy, and a plan for your legacy. Oftentimes my clients see results within weeks of working with me- leading to greater inspiration, more excitement and greater impact in their lives. I’ve simply become an expert at this stuff and that’s why my clients and groups get great results (and I throw in a healthy dose of compassion, humor and encouragement, which ALWAYS helps!). What type of personality do you work best with and what is expected of me? My workshops, retreats, products and programmes were created for people who are absolutely excited about living in a new paradigm and reaching their full potential. They were created for you to let go of what has been holding you back and to get into flow quickly and make your impact in this world. You are creative and passionate about making a difference, often in new innovative ways. Being a high achieving go-getter myself, I’m reliable, stable and committed to excellence, which means when you work with me I have your back. I work best with other high achieving go-getters who are super-ready to get going and just want to know exactly what steps to take to align their energy to their life purpose, who are always improving, wanting to do things better and who want the best of the best. Consider what you’ll do with me to be an aligned action learning course. You will be expected to show up and do the work. No excuses anymore, just a very different way of transforming what has held you back and full support while you achieve this incredibly exciting goal of reaching your full potential, feeling amazing about your life, with the energy & freedom to be yourself in your relationships, while doing work that you love. For what type of professional is this programme NOT going to work? My programmes are NOT for those who have no money coming in and are absolutely, financially desperate, at least not right away. If you fall within this category, it’s absolutely OK. We’ve all been in times of financial crisis at one point or another. Your first step is to do these three things so that you can move away from worrying about where you are going to get next month’s rent check or mortgage payment and into the next phase of growth. 1.Get some money coming in with a full-time or part-time job at the very least, and then call me. This will take the edge off and provide a little more peace of mind. Mostly, it will de-clutter your mind enough so that you can move into a space where you can start to think about reinventing yourself and your Energy Alignment work and the BIG picture. 2. Sign up for the free Change Your Energy Change Your Life 3 Day Challenge (​Click here​ to subscribe.) The free information will get you started towards your goals until you’re ready to work with me in our programmes or privately. Another type of person I won’t work with (without exception) is the whiner or the chronic skeptic, as well as individuals who consistently make excuses for not getting their assignments done or challenging every aspect of the programme. If you are one of these people, I gently and respectfully ask that you not book a call with us and I hope you understand why. We’ll probably just not work well together and I wouldn’t want you to waste your time or money. Is that fair? What exactly is Your Impassioned Life and what does it include? Your Impassioned Life is for professionals, leaders and entrepreneurs who want to transform their thoughts, emotions and beliefs to grow and live their fullest life purpose and they know they need the guidance and support to get their fast. I love it, it’s not like other coaching programmes out there, as you will receive all the support and community you need to make lasting changes. It includes laser focused coaching, hot seating group coaching calls, bonus videos niche coaches, full video and workbook modules all in one. Expand your vision to reach your full potential. Align to your vision and start working with the Law of Attraction for your personal and professional freedom. We release the energy, thoughts and patterns not serving you and align to a new abundance and success mindset to attract what you want in your life. Master your money mindset and raise your wealth consciousness for your personal and professional freedom. Define and align to your purpose and passion. Create your success plan for your legacy so that you grow with grace and live and love your Impassioned Life. Congratulations!!! You now have the energetic vibration and mindset to create the life that you really want. You’ll never have to worry again about how to create it. These are the steps that I’ve created after working with dozens for professionals over the last 15 years to help them create the life they want. You will feel joyful, experience happiness, connectedness and peace. You will have a sense of freedom in the work that you do. You will have found your sense of self like you never have before. You will feel connected in your relationships, to love and to be loved, and to know that you deserve more in life because you have everything that you desire. Have soulful, true connections with your family and have the satisfaction that your kids reflect your happiness back to you. You will be a positive role model and show your kids that they really can have everything they want in life. You will see the physical symptoms of your stress melt away. You’ll have access to my proven strategies to be happier, to create an abundant mindset and change your life using the Law of Attraction. What exactly is Your Soulful Business Mastery? In Soulful Business Mastery you will create your coaching business with a repeatable, elegant process that you are aligned with as you attract your ideal clients and grow profitably. Creating your exponential offer, pricing it and filling it to be very client attractive (this will include really high end offers if you choose). Designing a simple, elegant business model and flow that attracts your ideal client to you. Heart centered serving so that your clients are supported and your business supports you. Energetics of visibility and how to make it work for YOU. Shifting from a coach to expert in your field. Activating momentum on high dividend projects (and maintaining it) to ensure continual profit and flow. 26 weekly training’s that will dive deep into the above and way more. 26 weekly LIVE laser coaching and hot seating. 7 bonus calls on mindset, social media strategies and more. Private Facebook Community for accountability, coaching, engagement and community. Stepping into your Leadership Energy and fully align with your Business Model so that you are working with the Law of Attraction for your personal and professional freedom. Create your Visibility and Marketing Strategy in line with Your Business Evolution and create your Signature System. Attract your ideal Clients with ease with your simple business model, and with systems that support you and your Clients. Heart felt Sales and hosting Discovery Calls so that your future Clients step into their power and say yes to themselves. Raising your wealth consciousness and claiming your worth so that your own beliefs are not projected onto your future Client. Create a system so that you can expand profitability and stay in alignment with your business as it grows. This is a results-based 6 month programme with tons of energy shifting, quantum leaps, and mindset work as you create the foundations for your business and making your impact in this world. You will align to your purpose so that your business flows with passion and ease. You will create a business model that will support you and your lifestyle. You will create a paradigm shift in all areas, in your relationship with yourself, in your leadership energy, your money mindset and capacity for expansion, so that we can raise you up as that expert and create a success plan for your legacy. You will be fully aligned with your visibility and marketing strategy as your business expands and grows. Implement everything you learn and you will know how to grow a 6 figure coaching business bringing in 2-4 clients purchasing your signature programme every month. What do your Clients say about working with you? Please go to the Client Testimonials page and read all of them. You’ll get a real sense from what people say there. Your results will obviously vary based upon the action and commitment you put in. That said, I am as committed to your success as you are and we will define your specific goals and your plan to implement them with ease! When you work with me, I am by your side as you expand your vision so that you will walk away with a higher vibration, the skills to keep growing and transforming your energy, and a plan for your legacy, with the courage, confidence and consciousness to live your impassioned life. Oftentimes my clients see results within weeks of working with me- leading to greater inspiration, more excitement and greater impact in their lives. Will I get a return on the investment I put into my coaching programme? Yes, a resounding Yes! You are your greatest asset and your best investment is in yourself. Louisa, based on everything I’ve read and heard about you, I know you’re the one I want to learn from. What are my options for getting started with you? Congratulations on making a decision for success! I’m happy to work with you to achieve your personal and professional goals and to live your life purpose. Your Impassioned Life is for people who want to transform their thoughts, emotions and beliefs to grow and live their fullest version of themselves and they know they need the guidance and the support to shift their vibration fast. There are two options for Your Impassioned Life, the group coaching programme and the self study option. This is for you if you are a Coach who wants to create your coaching business with a repeatable, elegant process that you are aligned with as you attract your ideal clients and grow profitably. You know that everything is energy, and so you want to create your business in an authentic and aligned way, with energetic healing support. This programme can be taken on it’s own, and is also a great compliment to Your Impassioned Life and Soulful Business Mastery Clients ensuring that your physical body is in peak shape as you raise your vibration. High-achieving go-getters who want to move extraordinarily fast as your life will change at the speed you change your energy can also request to apply for VIP High Level Mentoring package, I offer VIP days, and 6 month and 12 month mentoring, where it is just you and me. If accepted, our work will take you on a journey into opening your soul to all that is possible: healing, manifesting, and elevating your Soul experience in this life, without all the thoughts, emotions and beliefs that have held you back before. Imagine the impact this can have on all aspects of your life, your health, relationships, family, prosperity and work. My clients are personally invited to our private Your Impassioned Life Retreats that we hold twice a year, these are exclusively for those working with Louisa. We do hold Your Art of Alignment Day Retreats for everyone a couple of times a year, and if you are on our newsletter you will receive an invitation to these. OK, I know which programme I want. How do we get started? Great! Did you know that one of the most prominent characteristics of successful people is that they take action? They take educated risks, are decisive, take action, and they move forward towards success faster as a direct result of this. It’s a well-known fact these people make decisions based on their gut instinct. So, that being said, since this feels right for you, then go for it. Here’s what you do: just click on the info page links above or if you have a question, book directly with my team at www.louisahavers.com/apply or email my team at support@louisahavers.com and we’ll be happy to help you get started and to answer any questions you have. We can’t wait to meet you in person or on the phone to get you started on your path to living your impassioned life! If I’m not sure I’m ready to get started, how can I sample your work at low cost to see if it’s the right solutions for me? A way to sample how I work is by joining my 3 Day Training Series – Change Your Energy- Change Your Life and by subscribing to the weekly email newsletter. It is a must for anyone who wants to live in alignment with their life of purpose Subscribe here. OK, I’m ready to do this for myself, but I have a couple of additional questions. Can I call you? Good, sounds like you’re ready to be pulled into your future! Yes, if you have a couple of questions, just email my team at support@louisahavers.com or book directly here www.louisahavers.com/apply and we’ll be happy to walk you through the different options to see which one will be the very best for you. I can’t wait to see you succeed and I am honored to be the one to help you. Let’s do it!